You're receiving this newsletter as a member of our subscriber list. Rumi Forum assisted with organizing the first Eid reception at the White House on October 14, 2014.Rumi Forum President Emre Celik provided greetings during the event. Rumi Forum honored recipients of the 8th Annual RUMI Peace and Dialogue Awards at the National Press Club on October 30, 2014. Azizah al-Hibri, Rebecca Winthrop and David Beckmann were honored for their contributions to human rights, education and community service. Rumi Forum is partnering with American Turkish Friendship Association and Norhtern Virginia local governments for a Gala dinner and a blanket drive to help Syrian Refugees currently seeking shelter in Southern Turkey. The blanket drive broke last year's record of 18000 blankets. A Gala dinner will be held on December 4 to benefit the refugees. Rumi Forum Chapters in Hampton Roads, VA, Charlottesville, VA, Richmond, VA and Hagerstown, MD organized friendship and dialogue dinners. Some chapters also organized art contests and peace and dialogue awards as part of the event. In appreciation of the importance of interfaith dialogue, Rumi Forum started a monthly dinner &discussion series with Catholic University of America. dinner-discussion-2014. Emre Celik spoke at the University of Waterloo, Canada about the Gulen movement in the age of globalization. Fethullah Gulen's condemning message about ISIS is published in Washington Post, New York Times, Chicago Tribune, Wall Street Journal and LA Times on September 17, 2014. The Journalists and Writers Foundation (GYV), the Swiss Dialogue Institute and the University of Geneva jointly organized a peace summit titled “Mobilizing Civil Society for Building Peace” at the UN Center in Geneva. Gulen sent a message to the conference. Rumi Forum is inviting PhD candidates and those who have recently completed there doctorates in social sciences for a study fellowship that incorporates a trip to Turkey with the mission of exploring social, economic, cultural, security and political issues in Turkey and the wider region during 2015. USIP's David Smock, Susan Hayward and Palwasaha Kakar talked on religious peacebuilding on Tuesday, September 23, 2014. Marc Gopin moderated. Dr Zeki Saritoprak spoke on his new book 'Islam's Jesus' co-orgonized with Georgetown University on October 30, 201. Hakan Yesilova talked about how Gulen's thought regarding the "other" contributes to our societies and overall human life. 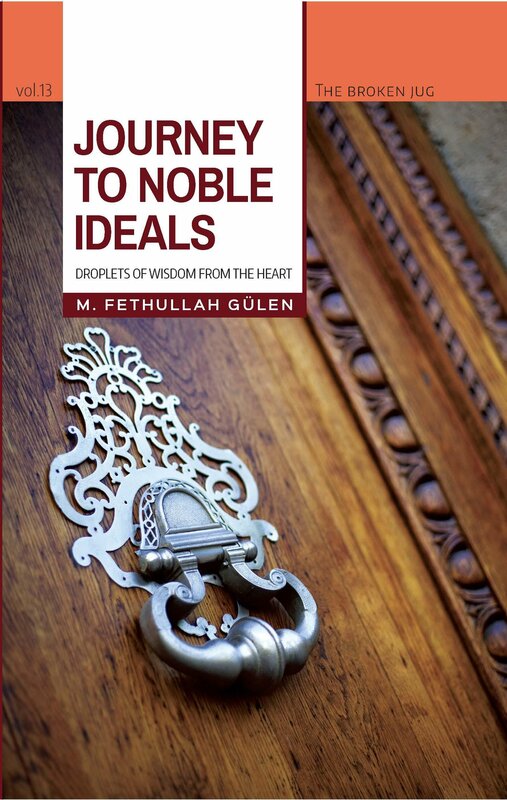 Journey to Noble Ideals is a compilation of speeches Fethullah Gulen delivered in Pennsylvania, USA, between 2012 and 2013. The book provides guidelines to build our individual ladders to self-discovery. In Thomas Michel's new book, Peace and Dialogue in a Plural Society, he explores how Fethullah Gulen is one of those speaking most vocally in favor of a world community, where different faiths and nations can come together at one table to solve the multitude of problems facing today's world. We are happy to announce the launch of Hizmet Studies Review by Gülen Chair for Intercultural Studies at department of Anthropology at KU Leuven in Belgium. A new TV series in Turkey, produced by Irmak TV, interviewed scholars of different perspectives and from diverse backgrounds about the Hizmet Movement and Fethullah Gulen. The purpose of this interview series was to convey how the Hizmet Movement and its activities are perceived worldwide, by offering a variety of insights. • Turkish language classes are open to everyone who is interested. • The classes are arranged based on the number of students interested in at any level. • Our teachers are using a Turkish Language Book Set written in Turkish. For the intensive program: A four-hour class per week and eight classes in a month. We are always considering applications for our internship program (dates are flexible and negotiable) Eligibility: All undergraduate and master’s-level students and J.D. and Ph.D. candidates as well as recent graduates are eligible to apply. Application Process: In order to apply for a Rumi Forum Internship, please fill out this application form. You may send any supporting documents such as CVs, resumes etc to internships@rumiforum.org. Please note that you need to fill out the application form first before sending any documents. Read More . Rumi Forum now accepts donation through a new service via Paypal. The Rumi Forum, a NGO that is a non-profit exempt organization under section 501 (C)(3) of the Internal Revenue Code exists by way of contributions, donations and the volunteers that enable it to provide numerous services to better society at large. Your contributions are appreciated and play an important part in the Rumi Forum increasing social harmony and understanding. Two new web sites highlighting the views and writings of Fethullah Gulen and those who have been inspired by his ideas. Sent to *|EMAIL|* — why did I get this?